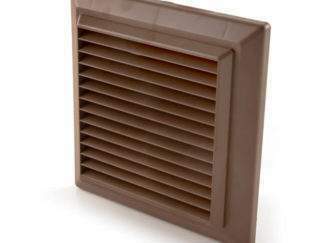 Dimensions: 158mm wide x 158mm high x 22mm. 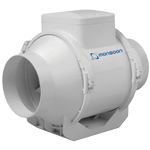 Spigot is 99mm diameter (for connection to 100mm ducting) and projects for 80mm beyond installed surface. 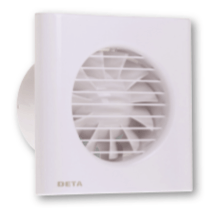 This model incorporates a run-on timer which operates in connection with the room light switch. 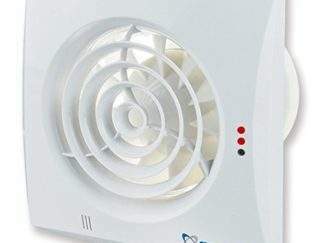 When the light is switched on the fan starts, when the light is switched off the fan continues to run for the pre-set period (adjustable 2 – 20 minutes). 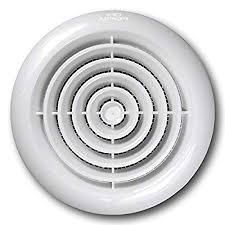 Permanent live, switched live and neutral wires (3 cores + earth) are required at the fan position in order to function correctly. This unit can be installed within zone 1 or 2 providing the circuit is protected by an RCD or RCBO. 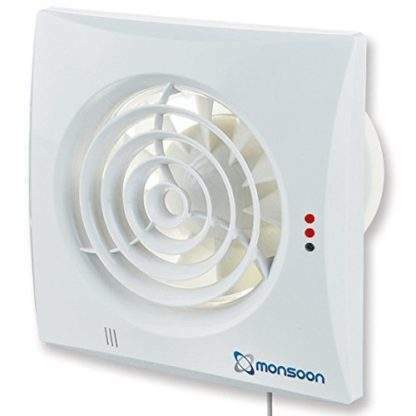 Excellent fan quiet and moves a lot of air.